Evelina Hospital School enable children and young people to continue with their education in a safe and welcoming environment whilst in hospital. The school registers around 1,500 pupils each year making it vital to have a reliable system in place for effective recording and management of pupil information. The school had a number of iterations of a Management Information System (MIS) that had been developed over a number of years by a number of different suppliers in an adhoc manner. We took the existing MIS and upgraded it to a new, robust and modern platform. 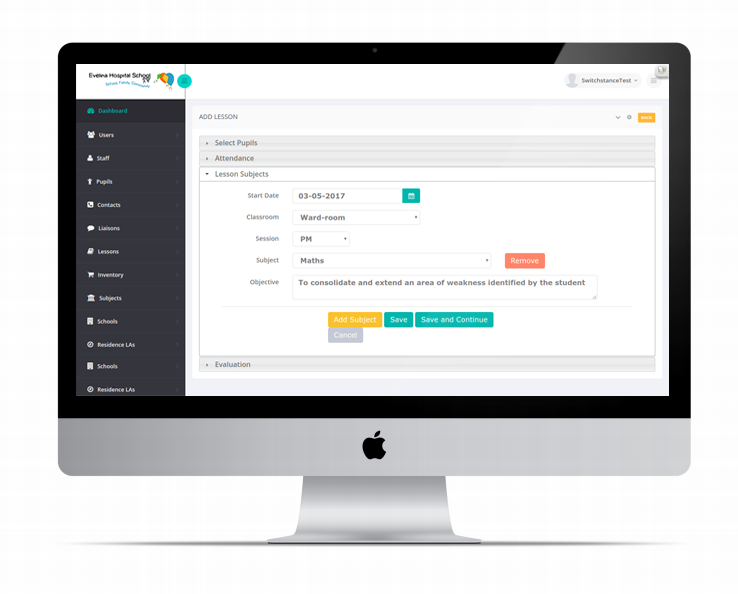 We also added new functionality to the system; a curriculum manager, financial management and a safeguarding function to meet the extra requirements of a hospital school. The MIS allows for better accuracy of data and a more secure platform to be saving the sensitive information.